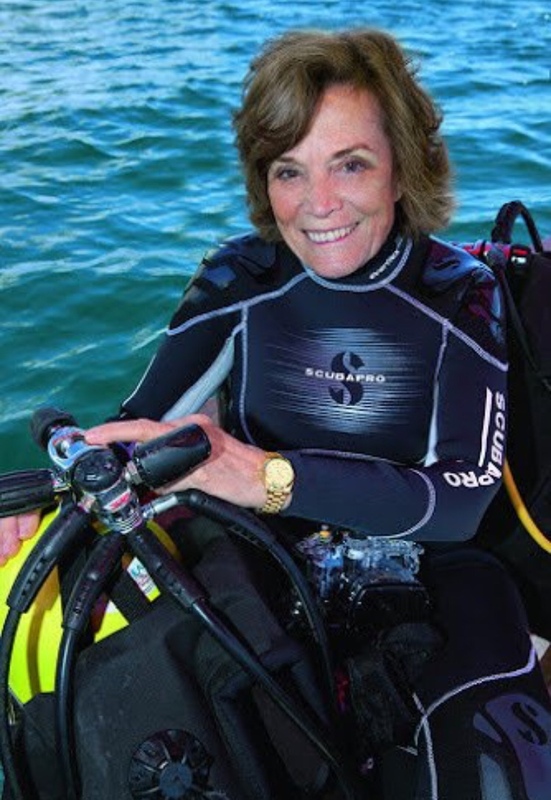 Sylvia Alice Earle (born: Aug 30, 1935) is a marine biologist, aquanaut, author and speaker. She has been a Nat Geo explorer-in-residence since 1998. She was the first female chief scientist of the US National Oceanic and Atmospheric Administration. She was named the first Hero For The Planet in 1998 by Time Magazine. Her group, Ocean Elders, are fighting the fight as oceanic protectors. In 1979, she made an open-ocean JIM suit dive to the sea ocean floor near Oahu, setting a women’s depth record of 381 metres (1,250 ft). In 1982 she and her later husband, Graham Hawkes, an engineer and submersible designer, founded Deep Ocean Engineering to design, operate, support and consult on piloted and robotic subsea systems. By 1986, Deep Rover had been tested and Earle joined the team conducting training off Lee Stocking Island in the Bahamas. Sylvia Earle married Graham Hawkes in 1986; their marriage lasted 6 years till 1992. In 1992, Earle founded Deep Ocean Exploration and Research (DOER Marine) to further advance marine engineering. In 2009, Earle won a TED Prize. I am in awe of her life. “We must take care of the ocean. We must take care of the natural world from the skies above to the depths below.” Could not agree more Ms. Earle. I HIGHLY recommend the documentary on Netflix. And yes, expect a blog about it a little later down the road.